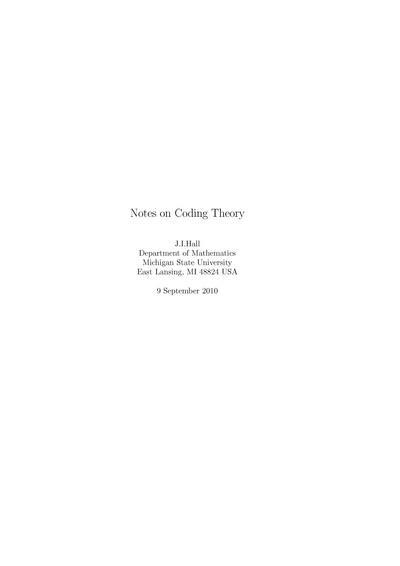 The study of the properties of codes and their fitness for a specific application. Codes are used for data compression, cryptography, error-correction, and networking. 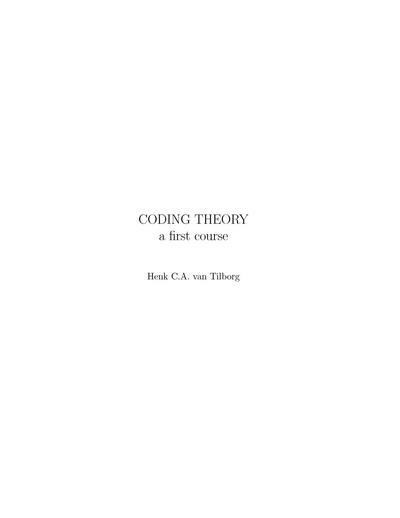 A textbook suitable for a first course in coding theory. It is based on a course that is taught for several years at the Eindhoven University of Technology. 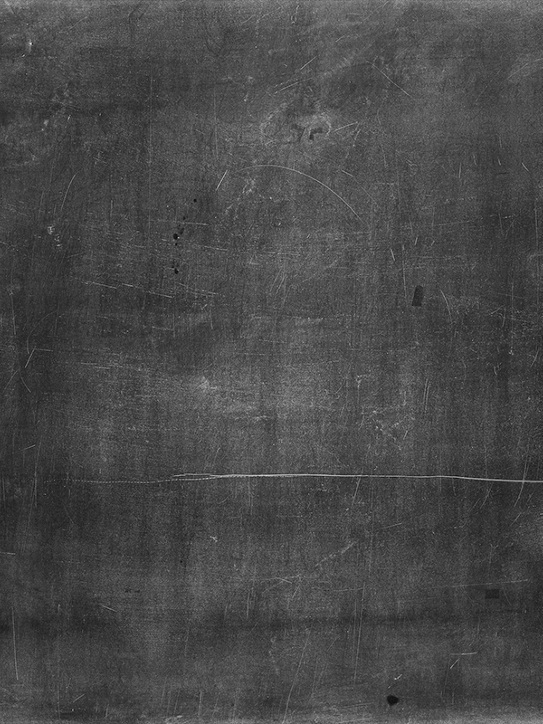 Deals with complexity issues in the theory of linear error-correcting codes. Emphasizes on the theoretical performance limits of the best known codes. Provide an elementary yet rigorous introduction to the theory of error-correcting codes, mainly applied in encoding and decoding procedures of data communication.